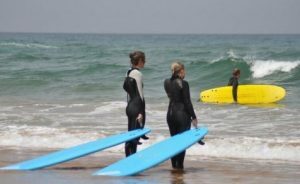 Morocco Mediterranean and Atlantic coastlineÂ bordered with Algeria to the east and southeast Mauritania to the south Moroccan villas Apartments and Hotels for your next Holidays. Plus Hotels near Airports. Essaouira stands on a vast bay sweeping south with miles of superb sandy beach and wooded hills dominating the skyline to the east. The medina with its honeycomb of souks lends a potent mystique to the town. Moroccan villas Holidays Sight-Seeing Tours in Morocco. Marrakech is berber origin and more Africaan than Arab. It has been the countryâs capital on two occasions. Vacation Â Holidays moroccan villas Holidays. Tetouan Property Rentals Holidays Aparments. 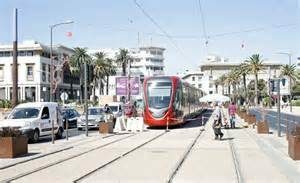 Casablanca is the largest city in Morocco, located in the central-western part of the country bordering the Atlantic Ocean. 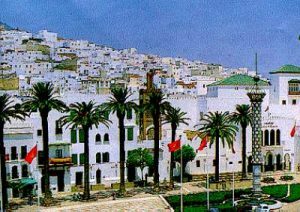 Made famous For the 1942 film It is the largest city in the Maghreb, as well as one of the largest and most important cities in Africa. Agadir Holidays. Agadir is a city in southwest. The city is located on the shore of the Atlantic Ocean. it is an important fishing and surfing area. It is also a famous seaside resort with a long sandy beach. Algeria borders Morocco to the east and southeast. 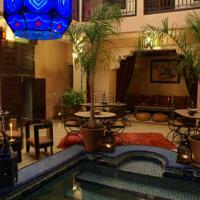 Tangiers Holidays in Morocco at Tangier a selection of local hotels. 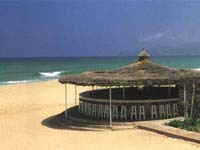 The city is very popular with tourists and Moroccan holiday makers as it has beautiful beaches to entertain them. This beautiful city is energetic, very likeable, extremely individual and has an enduring charm. Moroccan Local DishesÂ they abound with subtle spices and intriguing flavour combinations. Learn how to make these classic Moroccan dishesÂ dishes like Couscous, Tagines. Plus info about Moroccan street food. The Rough Guide to Morocco. The Rough Guide to Morocco is the indispensable travel guide to this intoxicating country, with comprehensive coverage, clear full-colour maps and up-to-date practical information to help you discover the best Morocco has to offer. Whether hiking through the Atlas Mountains, camel riding over the dunes of the Sahara or bartering in the souks of Fez, you’ll have all you need to make the most of your Moroccan adventure. There are detailed accounts of Morocco’s varied landscapes, from deserts and mountains to beaches and gorges, as well as helpful advice on navigating your way through the Medinas and souks of Morocco’s vibrant towns and cities. From eating freshly caught fish in Essaouira to staying in the stylish riads of Marrakesh, The book provides in-depth insider reviews of all the best restaurants, cafÃ©s, bars, shops and hotels, as well as engrossing background on Morocco’s history, expert knowledge on the country’s enormously diverse wildlife, and a language section with a helpful French and Moroccan Arabic glossary. 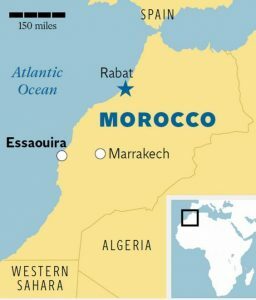 It is easy to think of Islamic North Africa as Arab rather than African, but the land that is now Morocco once lay at the centre of a vast African kingdom that stretched from northern Spain to the heart of West Africa. It was created by African Berbers and ruled for centuries by two dynasties that created tremendous wealth, commissioned fabulous architecture and promoted sophisticated ideas. This is an nature exploration channel sharing the best and the lost views our beautiful planet communities, lifestyles and environment we live in. I encourage you to appreciate and protect our home planet. How easy it is to accomplish? Very easy subscribe to my channel and I will share places many people dream of visiting to experience the world from a different perspective. Learning from my videos will accomplish my task for a better educated world and appreciation of Nature. Take A Break Holidays takeabreakholidays, Morocco San Francisco De Asis, Urb Marina, San Fulgencio, 03177, Alicante, Spain.